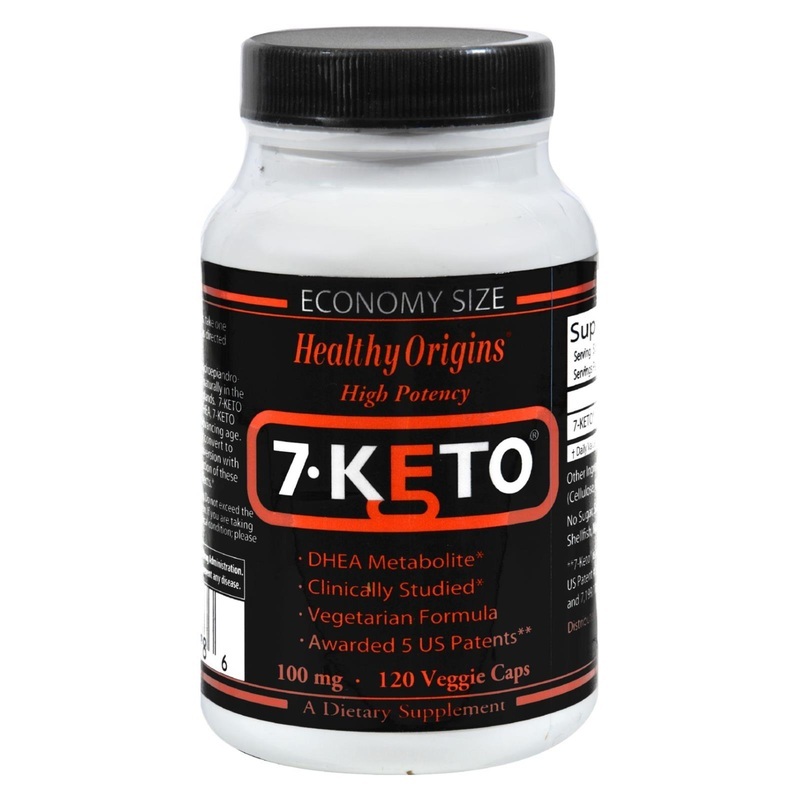 7-KETO (a trade name for 3-acetyl 7-oxo dehydroepiandrosterone or 7-oxo-DHEA) is a substance found naturally in the body and is primarily produced by the adrenal glands. 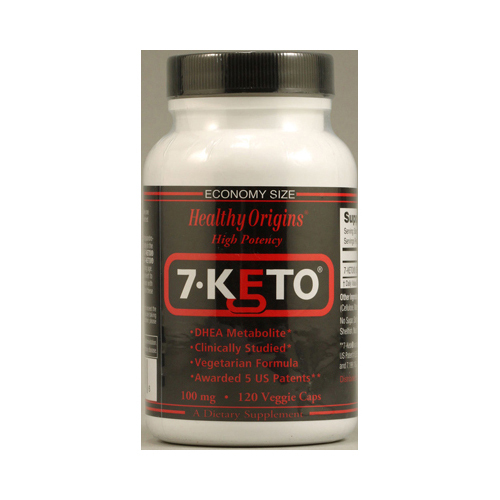 7-KETO is metabolized from DHEA and similar to DHEA, 7-KETO levels have been known to decline with advancing age. However, unlike DHEA, 7-KETO does not convert to Estrogen or Testosterone. This lack of conversion with 7-KETO may be beneficial since overproduction of these two hormones can lead to unwanted side effects. Free Of Sugar, salt, yeast, wheat, gluten, corn, soy, fish, shellfish, nuts, tree nuts, eggs or milk. Disclaimer These statements have not been evaluated by the FDA. These products are not intended to diagnose, treat, cure, or prevent any disease. *Daily value not established. Other Ingredients: Rice flour, vegetable capsule (cellulose, water.) Warnings Do not use if you are pregnant or nursing. Do not exceed the recommended dose. If you are taking prescription medications or have a diagnosed medical condition, please contact a physician before using this product. 4.25" x 2.75" x 2.75"